I love this project! 😍 It started because I'm collecting dollhouse's furnitures piece by piece, there is a weekly magazine with them attached ... and what an home-sweet-home is without lace? Of course, the first to be tatted is the "big" doily for the dining room (even though I still don't have the table!). 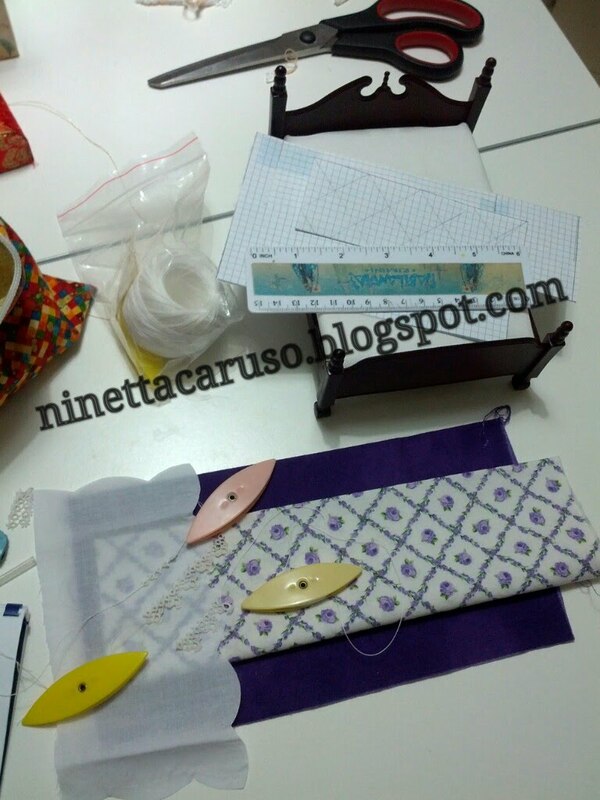 Scale is 1:12, so if a real table diameter is 120cm, in the dollhouse the little table would be 10cm large. 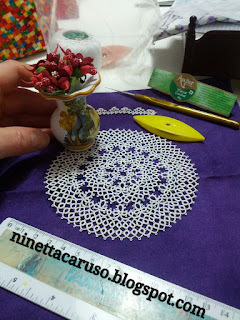 With that dimension, a realistic looking doily could be obtained with thin thread, like size 100, I think. 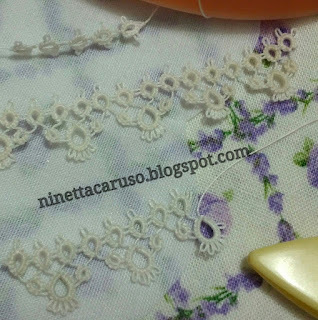 When working with finer thread than my favourite size 80, I usually look for a simple pattern or a pattern that I already tatted, just because retro-tatting is not fun and I've problems to focus the tiny stitches. I went over my collection of "Il lavoro Chiacchierino" by Mani di Fata and found the perfect doily in issue 13, that is the doily on the cover. I haven't tatted that doily before, but it looks simple and stitches' count easy to remember. I've "translated" the pattern in my short textual notation 😉 (their patterns have always very long text and with so many asterisks that I absolutely assure you I can go mad!) and that is the 6° round finished. I tatted two samples, the one in the bottom of the following picture has been tatted with dmc size 100 white B5200, the other one in the upper side of the picture it's been tatted with the same thread of the doily, that is Anchor Artiste Mercer Crochet 100. The size is the same but the dmc is brighter, in my opinion, while Anchor thread is softer. What fun to decorate a house in lace! But, too small for my hands and eyes. Good luck. I chuckled at your rewriting the pattern in shorthand. Much of my mentoring time is spent rewriting patterns for people. 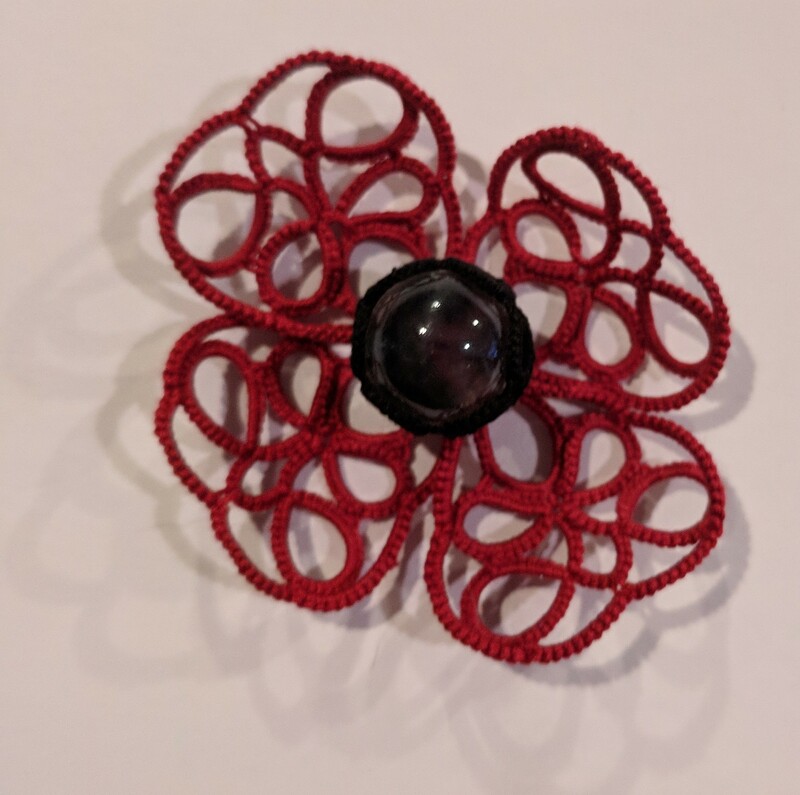 I look forward to seeing your beadspread too! Love that little doily. Enjoy your dollhouse. Wow, that's beautiful! It's going to be a magnificent doll house with all that hand made lace. Your dolls house will be beautiful when you finally finish it with all the beautiful work you are putting into it.